For more information about this circular see below this original circular. 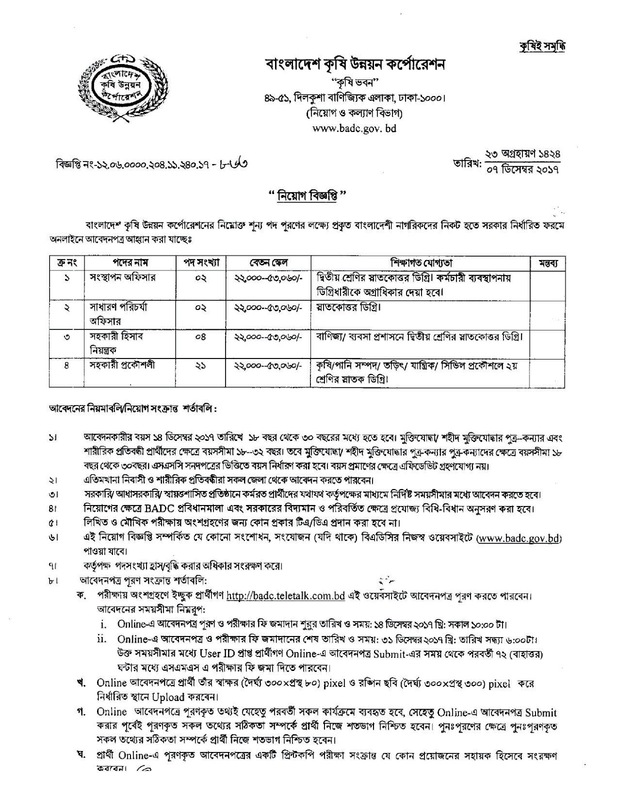 You can also view Bangladesh Agricultural Development Corporation (BADC) Job Circular 2017 and others Govt. 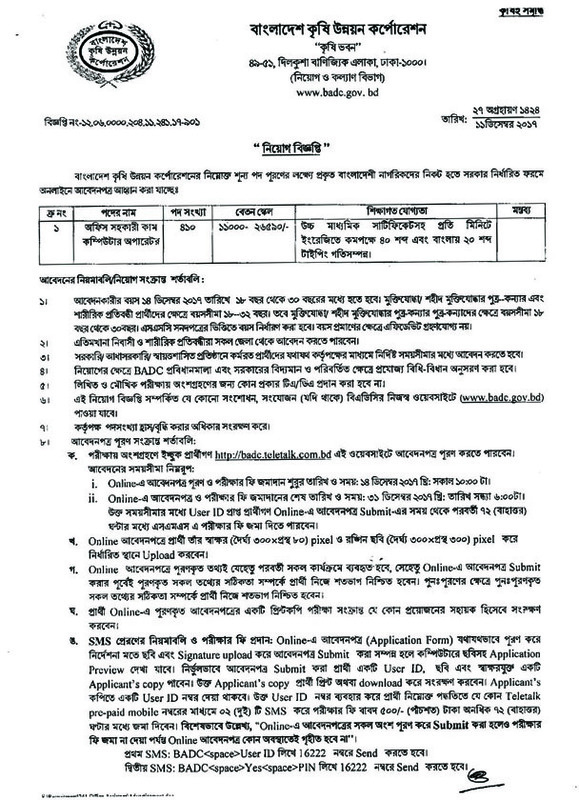 Jobs, Defense Jobs, Bank Jobs, Railway Jobs, NGO Jobs, Non-Govt. 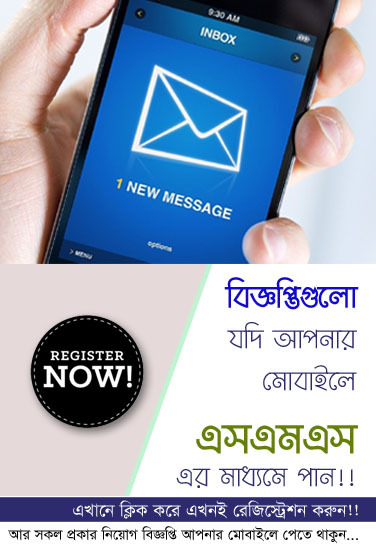 Jobs, Medical Jobs, Admission Notice, Exam Schedule, Admit Card, Job Application form to get visit our website www.chomebd.com. 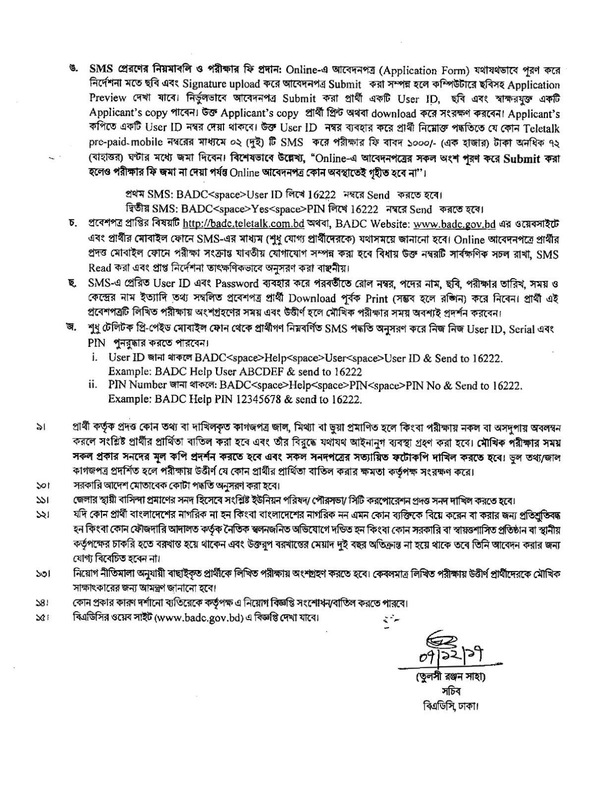 Full circular and Application form download link are available below this Image. 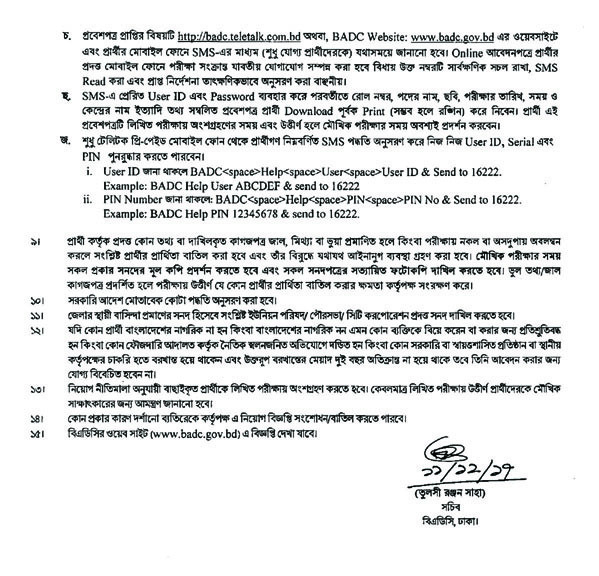 For view and download for Bangladesh Agricultural Development Corporation (BADC) Job Circular 2017 you have to visit there official website. 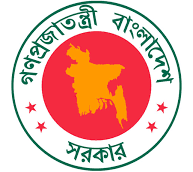 Get more updates about Bangladesh Agricultural Development Corporation (BADC) Job Circular 2017 jobs circular notice, Exam Result or Admit card, please stay with us and join our Facebook Page.